This confused me for a while!! The default scroll behaviour in Lion is in the direction that your finger is moving in, like iOS. Not the inverted scroll used for years. Thank you so much. 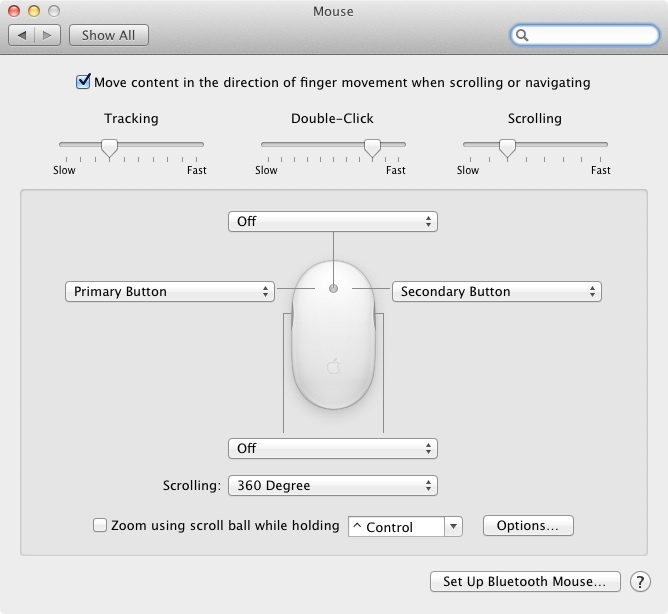 I figured out how to do it on my other Mac with the Magic mouse, but had no idea how to do it with the old mighty mouse. Who knew it would be so simple?